I was trolling around the Industrial Commission Site and I cam across the 20 most common citations for safety. It's pretty interesting if you look at some of them because it is very easy to be in compliance and yet so expensive to have an accident. Most cases that we see here in our office could have been prevented. Whether it's lack of fall protection that prevented the roofer from falling off a roof or a simple Lock-Out/Tag-Out procedure that takes a few moments but can save somebody from being electrocuted or losing a finger. Safety is so important. Both as an employer and an employee. Here's the list for you to check out. Note: 1926 indicates a violation of a construction standard, 1910 a general industry standard. Now, as a previous business owner and employer, I can tell you that there are a few items on this list that require little/no effort. 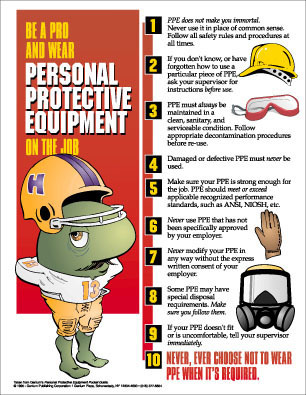 For example; PPE (general requirements), that means Personal Protection Equipment and is referring to safety devices for your employees such as safety glasses to protect eyes, ear plugs to preserve hearing, gloves to protect hands from materials and/or equipment and also the red vests that should be worn if your employees are in an area where there is forklift activity so they will stand out and the forklift driver can easily identify and see them. 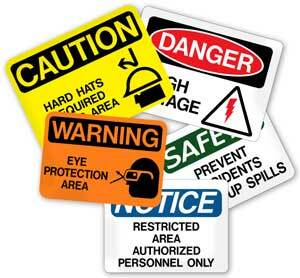 These very inexpensive items all flow into the PPE area and there is no reason why an employee should not be providing these safety tools for their employees. The citation fine is probably 5x the amount they would have spent in the first place. Another example would be the Annual Summary. There is no fee associated with this unless you employ a full time Safety Director, in which case this should be a simple task that he/she should be completing as part of their job. But on the norm, for small-mid size companies, the owners are probable handling this task and it doesn't cost you a penny to complete your OSHA 300 log. Yes, it takes a little bit of time but, if you are recording everything as it happens through the year, it's a very easy and simple task to complete. Employers need to get out of the mindset that ADOSH and other safety entities are here to make their lives more difficult and instead understand they are around to ensure the safety of the employees. I remember having a sinking feeling every time they would walk through the door because I knew it would mean some sort of fine or write-up; but in retrospect, they weren't that difficult to deal with and most of the things we needed to bring up to par were very simple things that because we did not stay on task, it cost us in both time and money. For employees; I know that the biggest complaint I used to get from my manufacturing employees was that it was too hot to wear the safety glasses in the summer and that the gloves made it hard to grip sometimes. But in the end, these Personal Protection Equipment and devices are put in place to ensure your safety. I can tell you from my experience working here at the Snow and Carpio Law Firm over the last 2 years that most of our clients would love to go back to when their injury happened and rewind for just 2 second so they could have a do-over and not get injured. Whether it's a minor injury that does not result in loss of time at work or a major incident that leaves a person unable to return to their job and even their career; not one of them would give up the chance to go back and have that accident and injury go away. So take a look around you and see if there are safety issues. whether you are an employer or an employee, point things out, make sure to talk about safety. 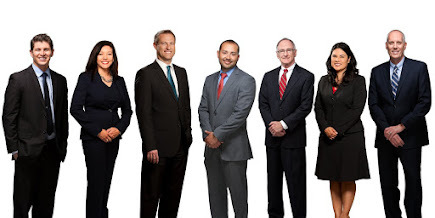 If you are injured or know of somebody who has been injured; the attorneys at Snow, Carpio, and Weekley PLC are glad to sit down and speak to you at no cost about your case. For more information regarding this topic or general questions regarding a Workers' Compensation Claim, you may reach Chad Snow and the firm of Snow and Carpio, PLC at 602-532-0700 or 520-647-9000. In the absence of Attorney Chad Snow, blog posted today by: April Lang-Snow, Business Manager @ Snow and Carpio, PLC.